The following formula is used in Microsoft Dynamics GP for depreciating Fixed Asset using straight line method. Formula: (Cost – Salvage Value – (LTD Depreciation Amount – YTD Depreciation Amount)) ÷ Remaining Life in Days. 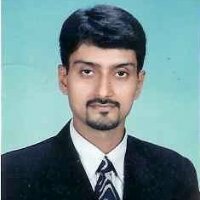 Aamir Sakrani (MBA, CMA (AP), MCTS) is a Financial Business Analyst at AccSoft Business Solutions Inc. He is currently living in Toronto, Ontario.